Ireland is known as “The Emerald Isle,” and it’s no surprise why. Known for its gorgeous landscape, the country boasts a verdant countryside covered in radiant green grasses and shamrocks. 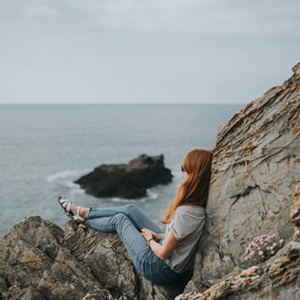 But what many travelers miss about this isle in the United Kingdom are its natural cliffs, still-standing castles and ancient cities in a country that dates back to 7000 B.C. Here are the top 10 travel destinations in Ireland. 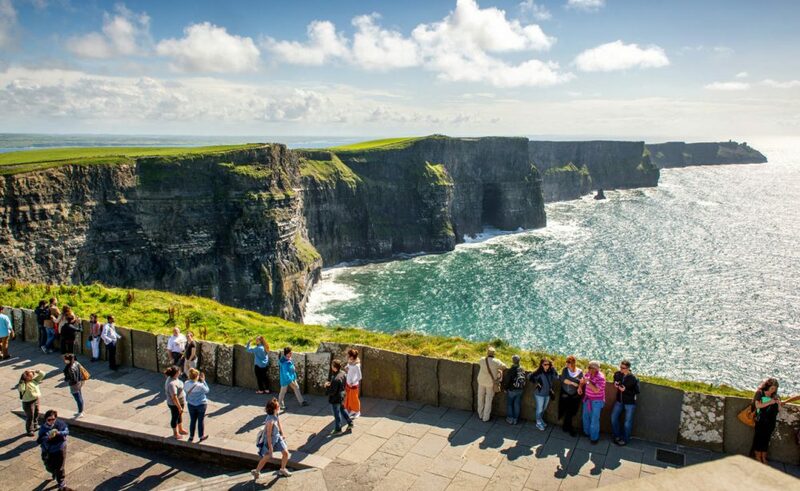 The Cliffs of Moher lie on Ireland’s western coast and stretch for about five miles. Watch your step near the cliff edges because they rise more than 700 feet over the pounding waves of the chilly Atlantic Ocean. The cliffs play host to more than one million visitors annually. 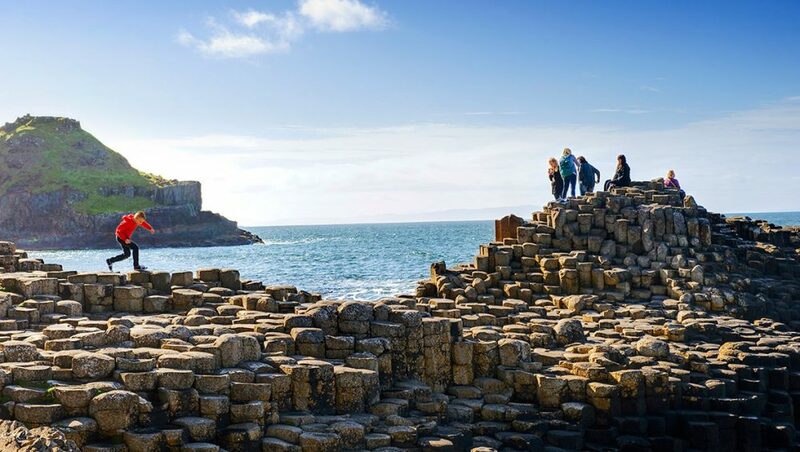 In Northern Ireland, tourists can visit the Giant’s Causeway near the town of Bushmills. It’s a vast array of nearly 40,000 basalt columns on the coast. 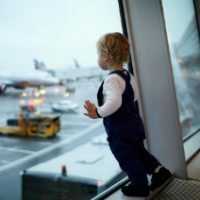 Mythic folktales boast that an Irish giant called Finn McCool lived on the coast and could see a Scottish giant (called Benandonner) across the ocean. McCool challenged the Scotsman to a duel and built the causeway so he could cross the ocean to Ireland. When he discovered Benandonner was gigantic, he disguised himself as a baby and fooled the Scot into thinking the father of such an enormous child would be unbeatable. Benandonner fled home and destroyed the causeway so he couldn’t be followed. 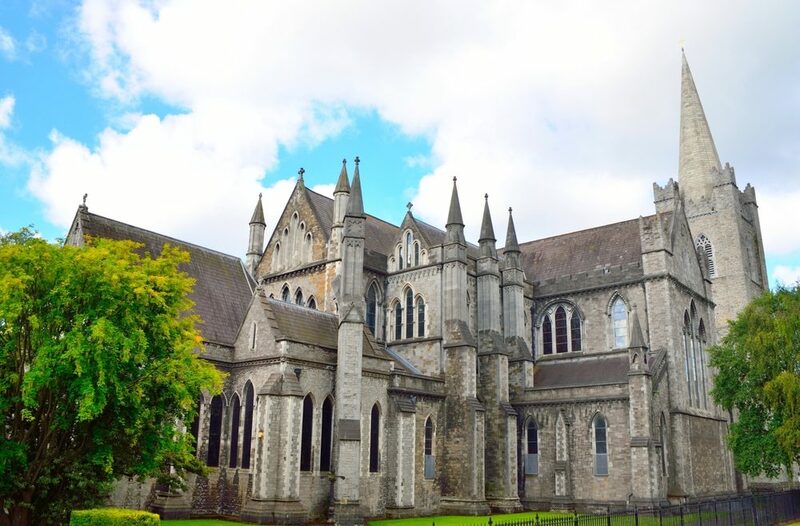 Located in Dublin, St. Patrick’s Cathedral is the country’s largest church. Folklore has it that St. Patrick baptized pagans into Christianity in a nearby well. The present cathedral was built in 1191 and is still a fully operational cathedral that offers parishioners daily services. Sung services are offered six days a week and the cathedral choir sings two daily services during school terms. Dublin’s most popular attraction is the Guinness Storehouse brewery. It soars seven floors up and its core is the shape of a humongous pint glass. The top floor is called The Gravity Bar and visitors can indulge in a free pint of Guinness while they view the city of Dublin. 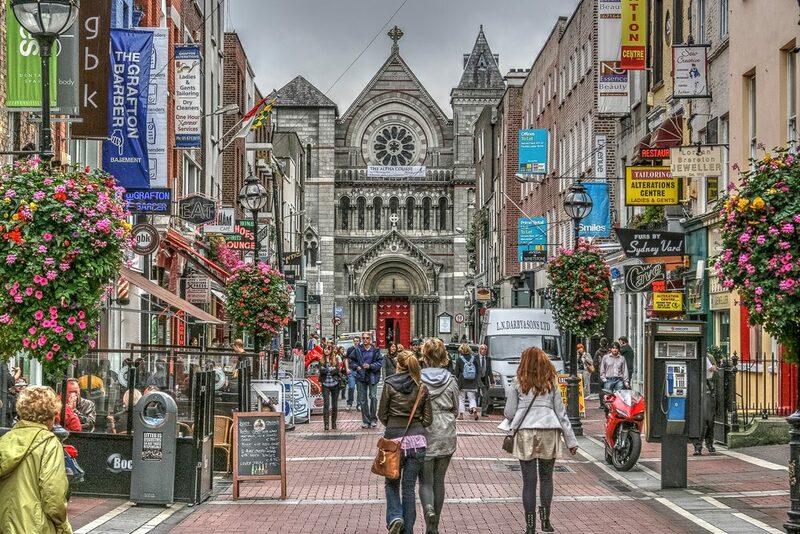 For those who prefer retail therapy and good eats, head down to Grafton Street. Here’s where you’ll see talented buskers, tuck into amazing ice cream made with locally sourced milk at Murphy’s, or just sit and watch the people go by. Built on the site of the former Harland & Wolff shipyard where the Titanic was built, Titanic Belfast is a museum attraction and home to the world’s largest Titanic experience. Opened in 2012 as a monument to the centenary of the Titanic’s maiden-and final-voyage, the museum has nine interactive galleries including full-scale reconstructions. 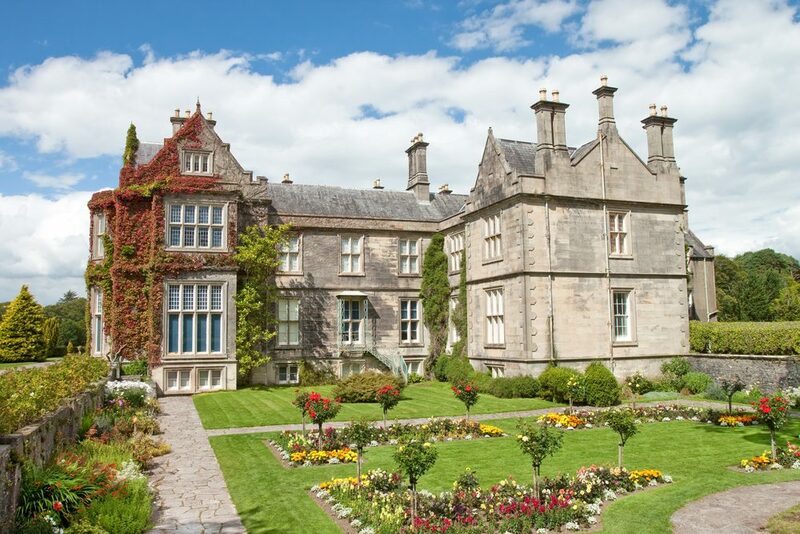 Head over to Killarney National Park to visit the Muckross House and Gardens, an estate that dates to the 19th century and was once host to Queen Victoria. Tour the mansion and gardens or hop on some jaunting cars (horse-drawn carriages) for a relaxing tour of the grounds, the nearby parklands and lakes. Dublin’s Trinity College is the oldest university in the country, dating to 1592 when it was founded by Queen Elizabeth I. Not only is it still a fully operating university, it’s home to irreplaceable, priceless literature, including the Book of Kells, which contains the four gospels in Latin that was completed in A.D. 384. Close to Cork lies Blarney Castle, which houses the Blarney Stone. 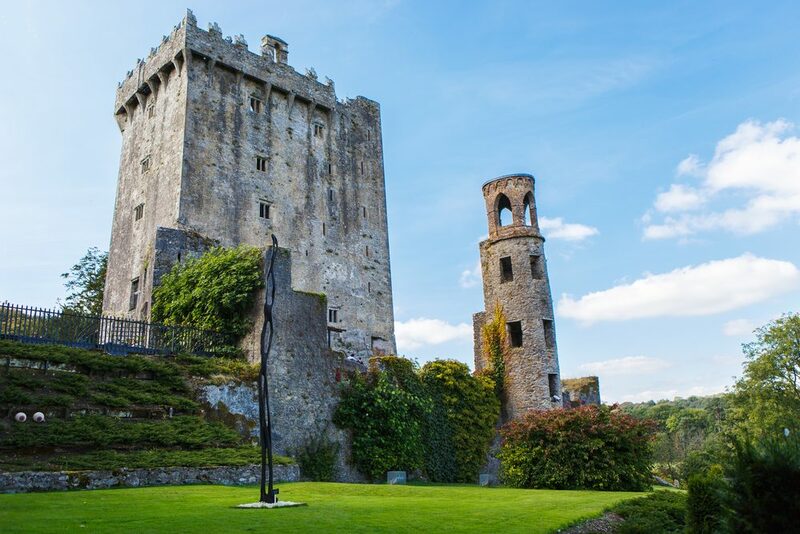 Legend has it that anyone who kisses the Blarney Stone will be blessed with “Irish eloquence” or what’s more commonly known as “the gift of gab.” The original castle was built in 1210, although the castle in today’s form was built in 1446. The Aran Islands are three rocky outcroppings that guard the mouth of Galway Bay, on the Midwest coast of Ireland. Inishmore is the largest, followed by Inishmaan and Inisheer. Visitors can explore medieval ruins and other structures.